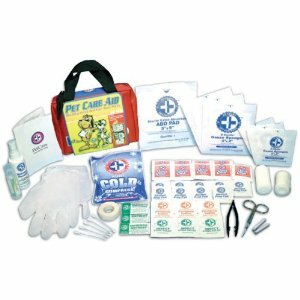 Don’t forget your cat during an emergency. 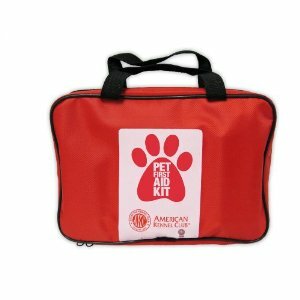 This pet kit contains everything you need to keep your cat alive and happy. 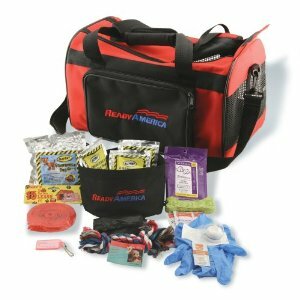 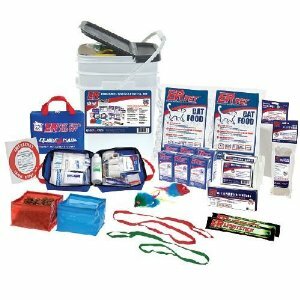 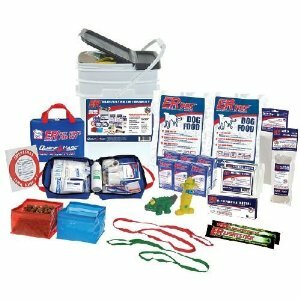 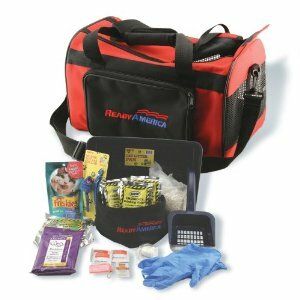 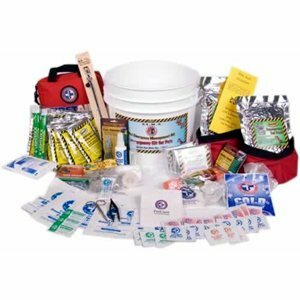 Even though it does half the same 5 year shelf-life as human kits, this one has cat food, a blanket, light sticks, bowls, cat toy, 3 gallon bucket with lid, first aid kit, leash, collar, water, 50′ rope, poop bags, can opener, bloodstopper, and more.